TO ALL OUR CANADIAN GARDENERS and every Honorary Canadian as well. All across our country we will be celebrating and we hope all will celibrate with us. I will be taking part in a Pancake Breakfast and listening to one of our local bands and eating a Canadian Flag decorated cake. Later on we have a giant picnic at our Millenium Park located adjacent to the Columbia River; lots of things to do for the kids, food vendors and of course another giant Birthday Cake. All topped up with a fireworks display. Being such a vast country the weather from sea to sea varies; by a LOT. A heat wave in the East and possible rain and thunderstorms with cool weather in the West, umbrellas needed all day. HAVE A GREAT TIME, EVERYONE. I will be thinking of the day, July 1, 1983 when I became a Canadian Citizen. My mother-in-law was the oldest at 80 years and the youngest a small boy of about six years of age. There was a picture on the front page of our local newspaper. Happy Canada Day to all our Canadian cousins! KJ, Happy anniversary of your citizenship. sanderson and Scorpio. Your turn in a couple of days; always a good excuse to celebrate. Where I live we had a cool enough day for me to wear my rather heavyweight Canada top. Usually it is so hot most years that it was impossible to wear it. It is rather old as on the back it reads 125 years and now Canada is 151 years old. I only wear it on Canada Day so at this rate it will celebrate 200 years. 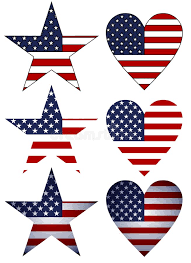 PS Isn't it about time we had an American flag in the Emoticons list? I did appreciate it when you added our Canadian flag. Hope your celebration was a fun one! @BlackjackWidow wrote: Hope your celebration was a fun one! Yes it was. It was also amazing how many people you know are still around: I had a lot of catching up to do. @Kelejan wrote: sanderson and Scorpio. Your turn in a couple of days; always a good excuse to celebrate. Glad you had a wonderful celebration! We love our neighbor to the North! I think we are gonna cook on our celebration. Yes I agree, a flag would be wonderful! Sanderson? A very Happy Independence Day 2018 to all of our American friends. @trolleydriver wrote: A very Happy Independence Day 2018 to all of our American friends. P.S. thanks TD for allowing me to copy your graphics..
Today at 09:44 Pacific Time my swallows have left their nest in my carport. That's over 20 years that nest has been occupied each spring, but now, until next spring, I can relax and not worry about all the kitties that are around. Rather cool here right now; 15C. going up to 23C today. Ottawa is about 35C. All to do with the Jet Stream. Another day and the jet stream will come to the north of us and we will be as hot as most of the continent. I do not have air conditioning but as I am on the north side of a small mountain, the cooler evening air falls down the slope and through the house as I leave windows open it really does cool the house. Now to get out into the garden and mow the lawn and prune some more flowering bushes and do some weeding and pick some cherries and turn the compost and, and..... Not all at once though. At least I am never bored with being retired. @Kelejan wrote: Rather cool here right now; 15C. going up to 23C today. Ottawa is about 35C. Hubby and I wilt in this heat, too, and it gets worse every year. I have plenty to do on the couch in the a/c, but I wanna go outside and play. WAAAAAA! CN. I wilt like an un-watered lettuce. @Kelejan wrote: CN. I wilt like an un-watered lettuce. Same here! Got up early to mow and weed whack. Horrible. Drenched in sweat. It waas just torture. Had a nice day by the pool with friends. We were camping just west of Ottawa last week and the heat and humidity were terrible. We left on July 4th to drive home to Southern Ontario and as we got closer, the temperature reading dropped 10C. We had a thunderstorm that evening and it took the humidity away, but it returned last evening. I did gardening last evening and again first thing this morning before it became unbearable. I have read that cities are heat sinks because of the lack of greenery and the preponderance of hard surfaces. I appreciate the shade I have in my garden, as I can follow it around the property as the day wears on. I still prefer to work early and in the evening during the summer and have a siesta in between. The winter is a different matter when I complain about no sun at all. That is the time for me to take a holiday. I will never willingly take a holiday between May and early September. The Provincial Park was about 45 minutes west of Ottawa and our site was very shaded so that helped a lot. My husband and I had disagreed on which site to reserve back in February, but I was never so happy to be wrong come July! The river was very shallow there so difficult for adults to swim but on days when it's that hot, I find it helps just to put hands and feet in cool water. This week, a lot of provincial parks in Ontario are under fire ban. It's going to be rough if we don't get rain. I have 5 rainbarrels but I don't know how long that will last if we don't get a good rain soon. We had a break here over the weekend, but headed back up now! Showers forecast and 24C tomorrow. I hope I will not have to water plants. A belated Welcome from me, bluelace. When did you last post? How are you coping with all this heat? For myself, I just slow down and don't try to beat myself up. I do best early mornings but this year one has to look out for the bears where I live. Our neighbourhood was targeted yesterday for a Bear Aware blitzt with a nice coloured pamphlet with the more important plain paper insert. I am hoping out local residents will take notice. Do you have any crittur problems where you live? Thanks for the Welcome Sanderson and Kelejan. I know, I've been a member here for a long time, but in the beginning, I didn't find much of a social atmosphere. This is more to my liking. Now don't get me wrong, I'm an avid gardener and have been for more than 40 years. I tried SFG for one season and found my efforts less than stellar . But it fascinates me. I've looked around and the pictures that have been posted on the Canadian Regional section this year are impressive. I think I'll hang around some more and see if I can absorb your knowledge! My biggest problem at the time was, I love, love, love squash and I was growing varieties that took up far too much space. I've solved that problem now and intensive growing methods such as SFG shouldn't be an issue now. Kelejan, Careful around bears. We had black bears when we had a 50 acre spread. I watched them lumber through a pasture full of calves and pay no mind at all. They never threatened us either. But of course there are other breeds of bears that aren't so people friendly. Be Careful! We have been in the city now for almost a decade. I have a small yard with a large portion of Organic garden. All raised beds for veggies; containers for fruit bushes and a rather unruly raspberry patch down one fence line. My critters problems here have included Greta the Glutinous Gopher (gone for a few years), raccoons (love black tomatoes) and black squirrels which are everywhere. My neighbour feeds peanuts to the squirrels and then they dig up my plants to bury the nuts. But it's illegal to trap them so we just try to cohabitate as best we can. BlueLace, I'm glad you are back. I didn't join until 2013 so I don't know what the early years were like. While the original purpose was support for growing the SFG method, I feel it is a friendly group beyond the garden. We chit chat through the winter, praying someone from "down under" will post their summer garden pics, and dream of our spring gardens.